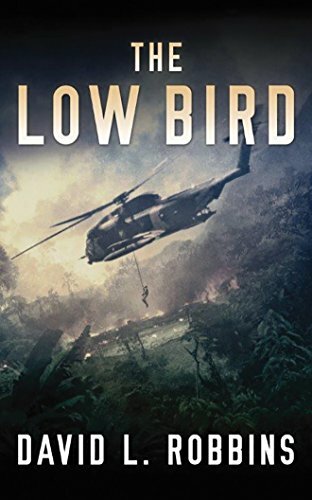 As Bo’s search intensifies, Minh, a young Hanoi woman who entertains the fighters and travelers along the Ho Chi Minh Trail, becomes inextricably caught up in the raging battle between her North Vietnamese troops and the American forces sent to rescue Sol. In the midst of heavy combat, Minh tries to find and understand love for the first time in her life. But the clock is ticking. A curtain of fire is going to descend. The desperate realities of jungle warfare are about to collide with a warrior’s code that says no man will be left behind. New York Times bestselling author David L. Robbins has published thirteen action-packed novels, including War of the Rats, Broken Jewel, The Betrayal Game, The Assassins Gallery, and Scorched Earth. His latest literary efforts explore the adventures and extraordinary talents of the US military's most elite Special Forces group, the US Air Force's pararescuemen, known as the PJs, serving under the motto "That Others May Live." An award-winning essayist and screenwriter, Robbins founded the James River Writers, an organization dedicated to supporting professional and aspiring authors. He also cofounded the Podium Foundation, which encourages artistic expression in Richmond's public schools. Lately his charitable energies have gone into creating the Mighty Pen Project, a writing program for Virginia's military veterans. Robbins is an avid sailor on the Chesapeake Bay and extends his creative scope beyond fiction as an accomplished guitarist. He currently teaches advanced creative writing at Virginia Commonwealth University Honors College. Robbins lives in his hometown of Richmond, Virginia.